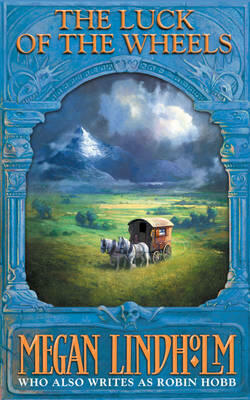 A reissue of classic backlist titles from the author of the best selling Farseer Trilogy and The Liveship Traders books. The fourth book in the Megan Lindholm (Robin Hobb) backlist. LUCK OF THE WHEELS is the fourth and final book in THE WINDSINGERS series, following HARPY'S FLIGHT, THE WINDSINGERS and THE LIMBRETH GATE, which introduced her popular gypsy characters, Ki and Vandien. Ki and Vandien should've known the money was too good to be true. Three georns and a full orn to be paid on arrival - just to transport cargo to Villena! The cargo, however, was human, a boy called Goat, and his family seemed just a little bit too anxious to be rid of him. It smelled like trouble. And it was. Not to mention a few other problems Ki and Vandien never imagined...like a lovesick stowaway, an army of rebels and road bandits and a magical detour with death itself.